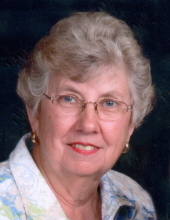 Lucille Lindsay, 74 of Amoret, Missouri passed away Monday, November 19, 2018 at her home surrounded by loving family. Memorial services will be 1:00 PM Saturday, November 24, 2018 at Mullinax Funeral Home (660-679-0009) in Butler with Brother Kevin Black officiating. Visitation will be Friday evening from 5-7 PM at the funeral home. Inurnment will follow services in Scott Cemetery. In lieu of flowers and plants, the family suggests memorial contributions to Scott Cemetery Association or Giving Fore Living. Messages and memories for the family may be left at www.mullinaxfuneralhome.com. Ruby “Lucille” Lindsay was born April 9th, 1944 in Abilene Texas, and passed away at her home on L-bow Farms near Amoret, Missouri on November 19, 2018 while drinking coffee and visiting with her family. Lucille grew up on the Erickson Family Farm near Amsterdam Mo. She attended high school in the Miami R-1 district, where she graduated as Salutatorian in 1962, and after high school she worked in Kansas City & Attended Business School in the evenings. Before graduating she had 2 job offers, IBM Corporation & Phillips Petroleum. The IBM job offered more money but would mean moving to New Jersey where the Phillips job was only 5 blocks from her apartment. She took the job with Phillips and quickly rose to be a Supervisor with Company Benefits. On June 16th, 1963 she married her high school sweetheart Clay Lindsay they lived & worked in Kansas City until 1965. The decision was made shortly before the birth of their daughter Christene to move home & purchase a small farm near Amsterdam. Their house was known as the Pink house, but they called it 4 rooms and a path because it didn’t have a bathroom or a phone. The bathroom quickly was installed with the arrival of Christene, but the phone took 1 ½ years to arrive. They attended the Amsterdam Baptist Church, where one day after church Mr. Vannaetta the superintendent of the high school asked her if she would like a job at the school being his secretary because his wife was having health problems. Of course she said yes, but unfortunately a month later both Mr. & Mrs. Vannatta died in a car crash and that left Lucille to get ready for an audit. After the audit Clay asked her “How did it go” and Lucille said, “must have done Ok Franklin & Company offered me much more than the School!” But she promised the school board that she would stay as the next year, there would need to be a new Superintendent. The new Superintendent didn’t work out which left Lucille and the principal Mr. Greer to be in charge plus John had been hospitalized 4 times with pneumonia, and so at the end of the school year she left the school to stay at home with John. When John was old enough to go to school the president of the school board and the elementary principal asked her if she would like to return to work as ½ time aide and ½ time elementary secretary, she accepted the job and worked there the next 20 plus years until 1996. After retiring from Miami, she did bookkeeping for other farms along with the family farm out of the office and helped Clay Gene with the cow calf operation & traveled extensively. Later she inherited the job of running the Scott cemetery which at the time didn’t have enough money to keep the cemetery mowed. She published a yearly news letter that generated enough income for the cemetery to make some improvements and have plenty of money in the bank. She also published a book about the cemetery where she took a picture of all the stones and tried to find an obituary for each person buried there and was asked to speak at several historical meetings about the book. What did Lucille like? She loved her family, and anything they achieved, she loved their church and volunteered countless hours teaching Bible school & playing the piano. She truly enjoyed each year helping with the Christmas program. One time she even painted the sanctuary. She was proud that all her family were baptized into the Amsterdam Baptist Church. Lucille loved to have her friends, family and her children’s friends at her home, cooking countless numbers of meals before sporting events and holidays for all to enjoy. There were a few things that she didn’t like: Manual Transmission clutches, backing anything up with a tongue. As for farm equipment she would say “if you hook it up I can run it”. Through her life Lucille was active in many clubs and organizations including PTA, Room Parent, 4-H leader, Booster Club, Fair Board, Friendship club of Amsterdam & the Bates County Cattlewoman association. She won many awards for her service in these organization but her proudest was being named Bates County Cattlewoman of the year in 2005. Lucille is survived by her husband of 55 years Clay Gene Lindsay, her Daughter Christene Page (Jerry) her Son John Lindsay (Lauri) one Grandson Justus Lindsay and one Great Grandson Clayton Lindsay & her Brother Gary Erickson (Marybeth) and special niece Jamie Lindsay Henggeler (Brian). She was preceeded in Death by her Parents Earl & Ruby Erickson and her beloved Grandson Joshua Lindsay. To send flowers or a remembrance gift to the family of Lucille Lindsay, please visit our Tribute Store. "Email Address" would like to share the life celebration of Lucille Lindsay. Click on the "link" to go to share a favorite memory or leave a condolence message for the family.